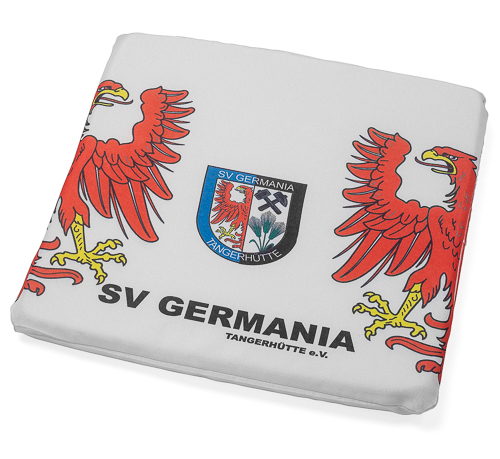 A high-quality 36 x 36 x 3 cm seat cushion. The polyester cover and the soft foam core ensure comfortable sitting even on the hardest surfaces. 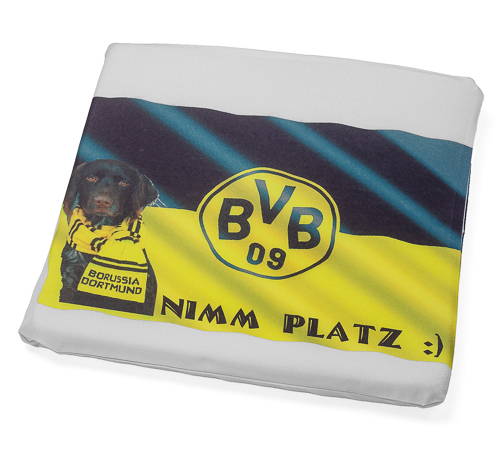 The soft material folds easily and is therefore the ideal companion for the next visit to the stadium. 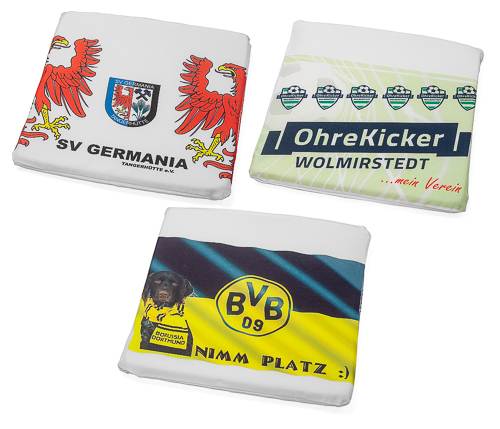 You can order he cushion with the desired imprint. 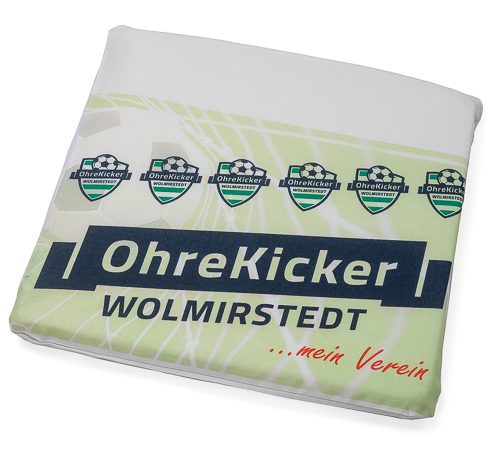 Please sent the imprint to the following e-mail address: grafik@teamsportbedarf.de. 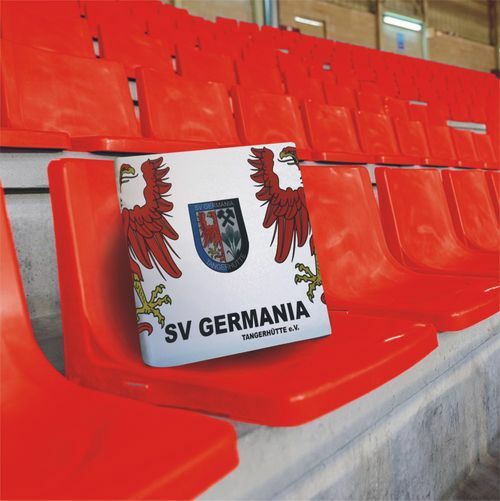 You can find seating cushions without the imprint and other interesting products in our shop. Our training aids are used by professional teams! Please always send the club or other logos as vector graphics! There For complex editing of the logos or graphics a surcharge applies. Good luck with your team work!